By the 1870s, iron rails ran coast to coast, connecting more of the interior of the United States than ever before. Towns and cities now could flourish away from the coasts and waterways that had been America’s main transportation networks. Food and manufactured goods could be distributed nationally. Railroads created new social, political, and economic ties among people spread across thousands of miles. To many Americans, a railroad connection promised new prosperity and new opportunities. In Santa Cruz, businessmen and politicians fought to bring a railroad to town, dreaming of a boom in industry that would make their city the equal of San Francisco. Many local people invested in the proposed Santa Cruz Railroad, and after years of politicking and financial maneuvers, a 15-mile line was completed in 1876. 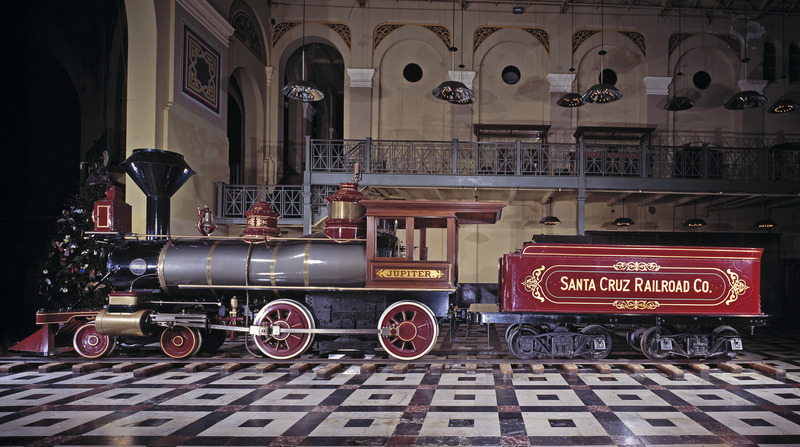 It connected Santa Cruz to the farming town of Watsonville, which was served by California’s principal railroad, the Southern Pacific. As early as 1867, businessmen began planning a network of rail lines in the Monterey Bay area. Several companies formed to build lines up the Pacific coast to San Francisco. In 1870, Santa Cruz County asked the state legislature for financial aid for a railroad, but was turned down. Undaunted, entrepreneur Frederick A. Hihn sold stock and bonds to finance a railroad between Santa Cruz and Watsonville. Despite financial irregularities and some local opposition, construction finally began in December 1873. Frederick Hihn emigrated to California from Germany in 1849. After starting several businesses in San Francisco and Sacramento, he moved to Santa Cruz in 1851. Hihn had interests in lumber, mining, railroads, and land. As a state assemblyman, he promoted the Santa Cruz Railroad. Not everyone in Santa Cruz County supported the railroad. 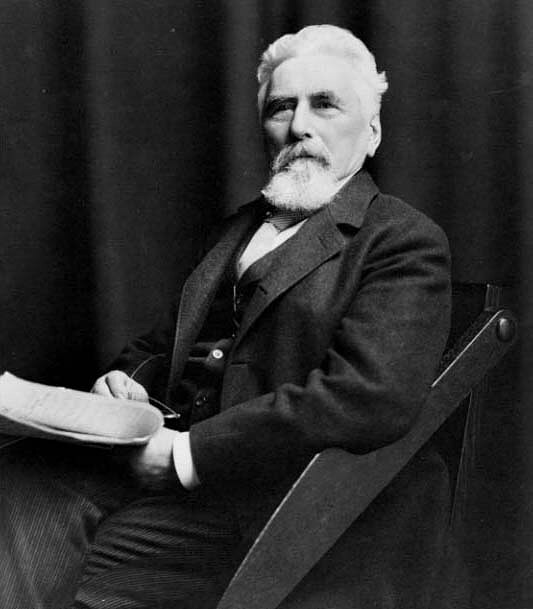 Residents of Watsonville, especially local newspaper editor C. O. Cummings, questioned Hihn’s business practices and fought taxpayer subsidies for the railroad. Already connected to the rest of the country through the Southern Pacific, the town of Watsonville voted overwhelmingly against subsidizing the Santa Cruz Railroad. If a railroad is all that is required to make Santa Cruz prosperous, we earnestly hope that they may get it. But we do object to speculators bolstering up chimerical schemes for their own benefit.” C.O. Cummings, editorial, Watsonville Pajaronian, April 11, 1872. Funding was tight. Hihn decided to build the Santa Cruz Railroad as a cheaper narrow-gauge line. Chinese workers, encamped in a cluster of tents about a mile east of Santa Cruz, provided most of the labor. They graded rights-of-way, built bridges, laid wooden ties, and spiked rails into place. These Chinese workers are constructing a narrow-gauge line. Skilled rail worker labored 10 hours a day, six days a week, and were paid a dollar a day. By 1893, five transcontinental rail lines and a web of other railroads linked the American West to the rest of the country. By that time, the U.S. economy had become truly national: almost any town could receive food and goods from any section of the country within a week or two. Factories could ship their products anywhere. Marketing became a nationwide enterprise. National politics changed as well, as some local differences blurred in the face of broader concerns. In the early 1880s, the Southern Pacific Railroad bought up and consolidated rail lines throughout California. 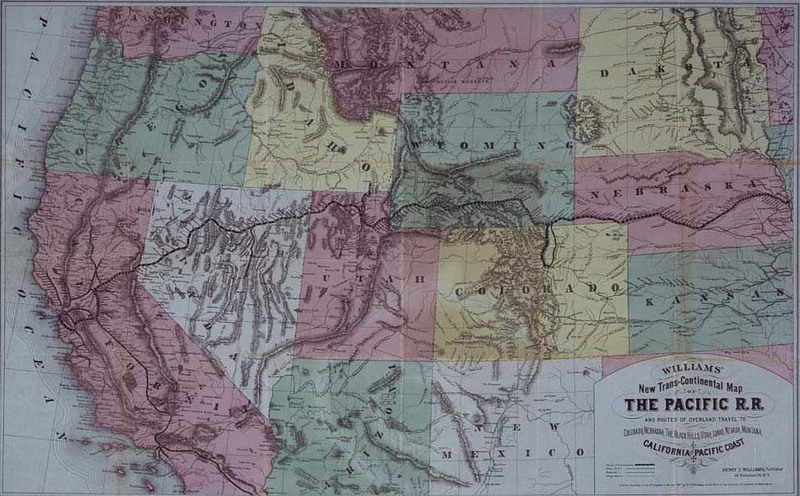 The “SP” then monopolized access into California from the east and north and dominated access into the southern part of the state. The company became the largest landowner in California. As a result, the railroad controlled the shipping costs of every farmer and business owner. It influenced land prices and wielded a heavy hand in state politics. Frank Norris’s novel vividly described the abuses of large railroads in setting high shipping prices and controlling land ownership. In the early 1900s, the novels and exposés of Norris, Upton Sinclair, Lincoln Steffens, and Ida Tarbell—writers called muckrakers—revealed the dark side of American industry and finance. The dream of equaling San Francisco never came true, but the railroad brought outside markets closer, speeded the mail, and accelerated tourism. When the Santa Cruz Railroad went bankrupt in 1881, the Southern Pacific snapped it up and converted the line to standard gauge. Travelers no longer had to change trains at Watsonville, and by 1885 Santa Cruz’s tourism and lumber and lime industries surged, while Watsonville enjoyed a boom in agriculture. 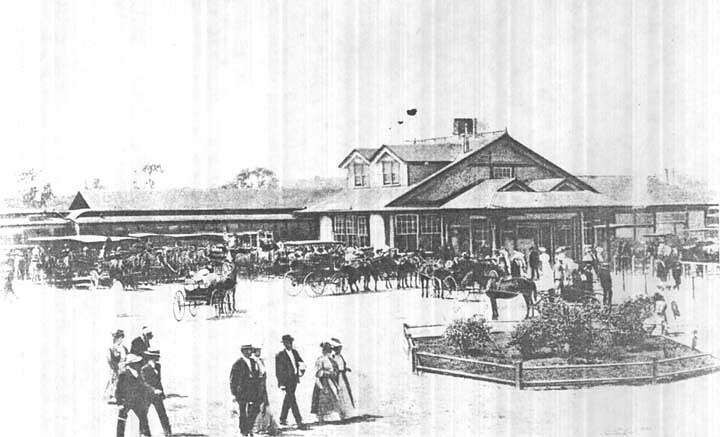 Cruz Depot, 1890s. Courtesy of Museum of Art and History. Built in 1893, the Santa Cruz Union Depot bustled with activity on summer weekends in the 1890s. The Southern Pacific standard-gauge line reached Santa Cruz via Watsonville, and a narrow-gauge line connected Santa Cruz with San Francisco through the redwood groves of the Santa Cruz Mountains. Santa Cruz became a popular weekend destination for summer tourists. 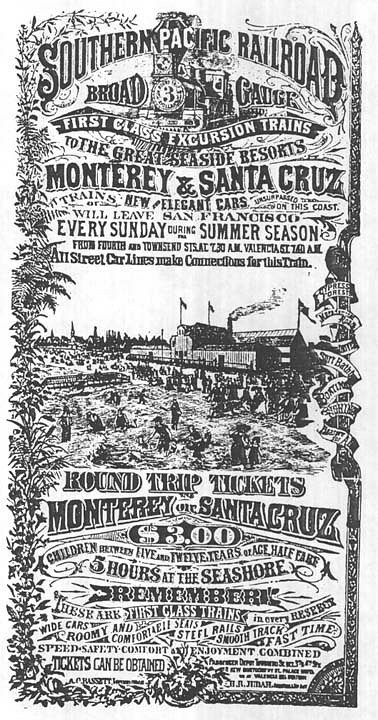 The term “broad gauge” in the poster advertises that passengers from San Francisco could reach Santa Cruz or Monterey without having to change to narrow-gauge trains.